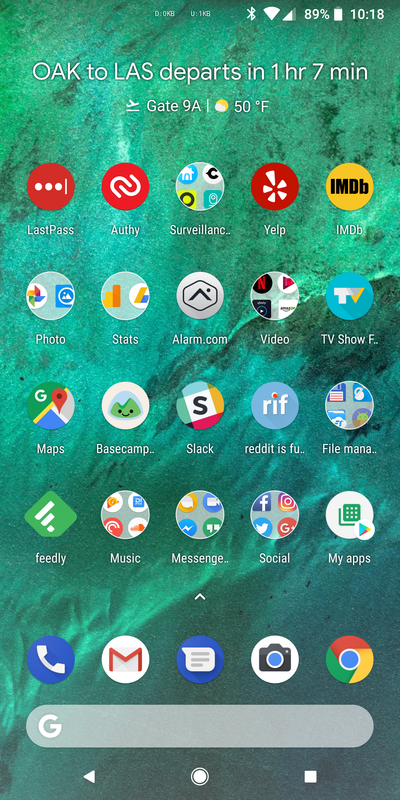 When the Pixel 2 was announced in October, the new At A Glance widget at the top of the launcher was introduced and said to have calendar events, with traffic and flight updates coming later. 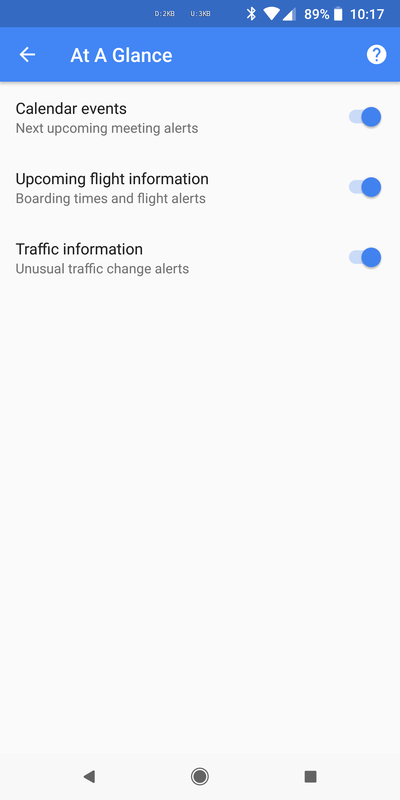 Then when the Pixel 2 launched, traffic updates were already there as well, but flight info was still missing. That's been there for several weeks, I first noticed it around mid-December when I was traveling to Dubai, but it could have been added even earlier. However, Artem just realized it was there for him a couple of days ago. 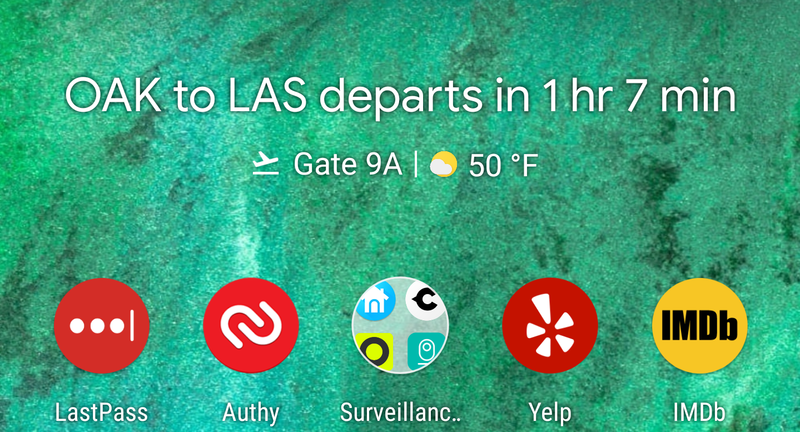 Since not everyone might be aware of this new addition (you need to have an upcoming flight to see it) or since maybe the toggle is turned off by default on your device, we thought we'd share the news with you so you can make sure you have flight updates enabled on At A Glance, if you're using the default Pixel Launcher that is. 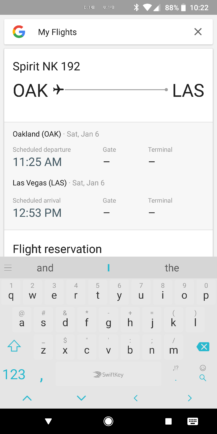 Tapping and holding the widget shows a Preferences pop-up where you can toggle calendar, traffic, and flights updates. Google says more will be coming soon. I'm crossing fingers for live sports scores and maybe shipping updates, to replace the now busy Google Feed. Of course tapping on the widget's flight update text takes you to your flights reservation with details on departure, arrival, gate and terminal if applicable. 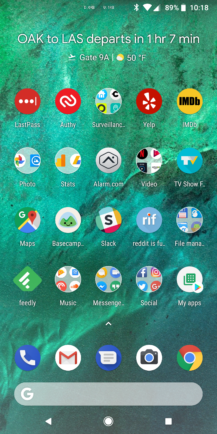 That's one less thing you have to dig into the Google Feed for.